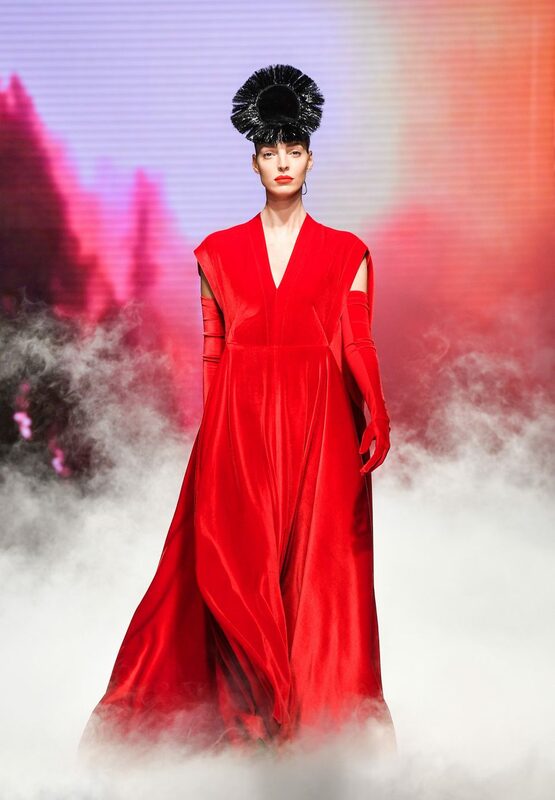 Tendrils of smoke enveloped the runway and the sounds of heavy breathing opened up UNTTLD’s show at Day 1 of Toronto Fashion Week. 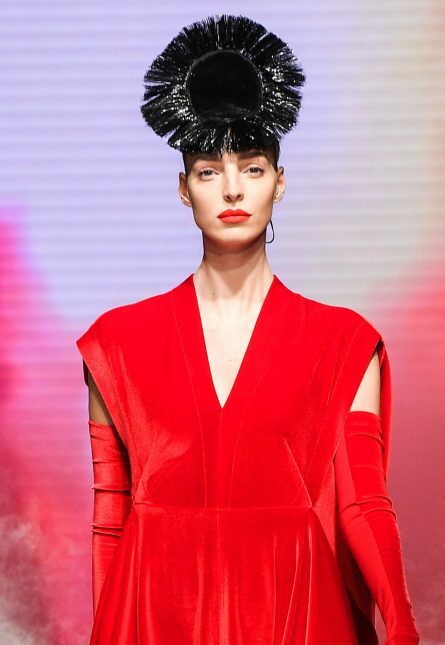 The runway featured dramatic velvet looks paired with elbow gloves and a saint-like crowns, luxurious silks and 1920s-style cloche headwear. “We were thinking about the idea of a Renaissance woman,” says designer Simon Bélanger, one half of the Francophone duo that makes up UNTTLD. (The other half is designer José Manuel St-Jacques.) “A real contemporary woman is a woman that does everything and wears all the hats. In the Renaissance, you could be an architect, you could be a scientist, you could be an artist. It was a period of discovery. So for us, we wanted to mix together all these references and put it all together in a very modern way, with jewel tones, satin, velvet, a very rich Italian idea of luxury,” he explains. The inspiration for the collection was equal parts luxe and evil. The glamorous Marchesa Luisa Casati, a muse of the Surrealist and Dada movement who once owned a pet leopard, served as a muse, as well as the Medieval heiress Lucrezia Borgia, who was born into a family known for poisoning their enemies. “We like things a bit more sauvage, feral and dangerous,” says Bélanger.